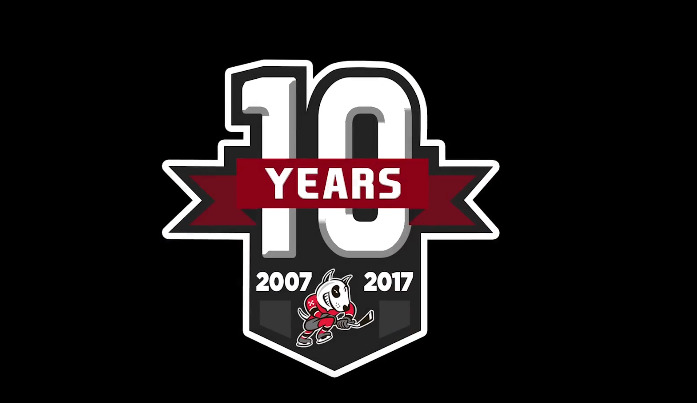 IceDogs 10th Anniversary Celebration Video - Niagara IceDogs Fan Forum ! Here's the video we produced for the Dogs to celebrate 10 awesome years! I don't want to be a killjoy - I saw the Dogs' logo saying 10yrs. Now, the Dogs first season here was 2007-2008. So by my math, wouldn't their 10yr anniversary be the 2017-2018 season? (ie: NEXT year) ??? 10th season yes. Not 10th year. Personally, if their first year was 2007-2008 I'd like their 10 year anniversary celebrated in 2017-2018. But maybe they can think up something else to celebrate next year. Exactly. Today I became 44, but I'm not celebrating my 45th year. Not until NEXT October. Happy Birthday Alph... I got you the same thing as last year! video we produced for the Dogs to celebrate 10 awesome years! The mayor and the police chief talking about hockey. Riveting. Ten years worth of players to choose from and that's what we get. In part 2 do we get memories from the "I'll have what she's having" lady?